The Witch’s Prophecy Now Available on Kindle and Barnes and Noble! You can now download The Witch’s Prophecy for $3.99 on Kindle and Barnes and Noble. For a preview of the novel, you can read the first three chapters here: Chapter 1–Ramla’s Vision, Chapter 2–Dragon Chase, Chapter 3–Lady Adell’s Request. I have added The Witch’s Prophecy to Barnes and Noble for $3.99. You can now download it onto your Nook. Yesterday I attended a seminar on self-publishing with author/publisher Cornel Rosario at my local technical college. I have been doing a lot of research on publishing recently and wanted to see if there was anything new he could teach me that I hadn’t figured out yet on my own. I am glad I did. Prior to the class, I had learned a lot about ebook publishing, but the process of publishing actual books had been a bit of a mystery to me. Much of the information Rosario covered in this three-hour session was old news to me, as far as ebooks go. But when it comes to printing actual books, he was a wealth of knowledge on both old-fashioned printing and print-on-demand. I also learned a lot about the costs associated with publishing your own book. If you’re seeing weird things around you, like dwarves or gigantic butterflies, stop reading right now! Or if you start seeing these things, STOP! I’m telling you, you don’t want to know what could happen if the Blue Witch finds out, or if her minions see you. Still reading? I’m telling you, put this book down right now! Well, you seem very determined and curious. I guess…you may be the one. This is the story of Electra and Skylar. Learn from it and watch out for anything weird around you. You never know when the Blue Witch will try to take over our world. Guard this book with your life. Take it to the Knights. They will know what to do with it. I wish you luck, dear reader. You will need it. Ramla twirled a grass spear in the blue waters of Crested Lake on a warm, sunny day next to the Witches Village. She was laying on the lake’s shores, and watching deer and birds dart in and out of the forest around the lake. She sang the poem aloud to herself, thinking about the many adventures she had in her life. On one of her travels, she met an extraordinary young warlock named Devlin, who recited the poem to her. It became one of her favorites, not because of poetic mechanics, but because it reminded her of the times they spent together. Together, they made a rhythm out of the poem, and it became their song. They were going to spend their life together. Until that tragic day when Devlin drowned right in front of her. Devlin was never a strong swimmer, but he was an adventurous young warlock, and he wanted to impress her. He braved the depths of Mermaid Lake, another body of water, because no one else had survived. There were legends of people that had dared to tempt the mermaids, and he wanted to be the first person to cross the lake. She told him not to, but he thought he was invincible based on other successful ventures in completing impossible quests. He did not succeed. Devlin was able to fight off the mermaids until he was halfway across the lake. Then, one of the older mermaids grabbed him around the waist and dragged him down into their watery home. Now he lay lifeless at the bottom of the lake in the murky sand. That was the day Ramla’s heart broke. She never recovered from his death, and she never loved anyone else. She was the subject of many jokes around Crested Lake. None of her fellow witches could figure out why she was so smitten with Devlin. It didn’t matter to her. He was the one that she loved. No matter what they said, she would always love him. Ramla kept twirling her piece of grass in the waters of Crested Lake, allowing small funnels to grow in the lake. She saw yellow and red fish dart away from the spear, moving so quickly through the water. They didn’t even have to think about their movements. Oh, if Devlin could have only swum like those fishes. He could have skirted away from the mermaids. Then, he would be beside her, and they would go off into the sunset, never to see the witches again. But that time was over. It was long gone, and it would never come back. Ramla was never going to see him again. Ramla sighed in sadness. She wanted to spend her life with him. They had planned the many adventures they would have together. Instead, she was sitting on the shores of Crested Lake wishing that he were still alive. A brief movement caused her to look up and see a small pink butterfly fluttering around her. The butterfly put a smile on her face, despite her grief. All around her, there was still life. The world had moved on. She pushed her hands against the ground and stood up, pausing to brush the dirt off her red dress. She had to get to work. Ramla still had a sign sitting in her longhouse, waiting for her latest poem. Ramla turned around and started walking towards the grey longhouses of the Witches Village. This was her home, since all the witches lived here. She dropped the wet grass spear and breathed in the cool air. She had been in a depressed mood the past three days. Yesterday was the five-year anniversary of Devlin’s death. She strode briskly between the longhouses until she reached her own. The few witches she passed avoided her. That was understandable, since she had been rather moody to a few of them. Still, it was rather annoying that all her fellow witches were turning their head whenever they saw her. She grumbled to herself as she pulled the door of her longhouse open and stepped inside. She slammed the door shut in anger, and pressed her back against the walls of her longhouse. Ramla took another deep calming breath and closed her eyes, drinking in the silence of her home. She was alone again. Thank goodness. Ramla looked around her longhouse and saw that the wooden board she had sitting on her front desk was still there. Her fireplace was still crackling, and the dinner she made before she went out was roasting in the pot. Ramla sat on the wooden chair in front of the desk and stared at the board. She was hoping by now that she would have something to go on. She was having a severe mental block before, and decided to take a walk over to Crested Lake to gain inspiration. Now, however, she still had no clue what to do. The board seemed to laugh at her, mocking her writer’s block. She resigned herself to not being able to accomplish anything today, just like every day for the past week. Soon she would get something. It would happen. Ramla started to push herself out of her chair when her mind went completely black. She couldn’t see anything around her. Ramla started to panic, thinking she was going blind. Suddenly, the darkness lifted, revealing a young girl with armor standing in a large blue cavern between waterfalls that were pouring down with glassy water. Ramla realized she was having a vision. She had experienced images of foresight before, but never on such a grand level as this. The girl was holding a large wooden staff in front of her as if it were a weapon. She shouted something, and a Witch with light blue eyes appeared facing the girl. The girl’s eyes were wide with fear, and the Witch snarled with cruelty. In the background, Ramla could faintly see a light blue object gleaming in a patch of sunlight. Rocks tumbled down from the ceiling, and the girl quickly darted around them, trying to escape her doom. The Witch raised her hand, and an elf wearing a green outfit and holding a bow and arrow ran forward to stand in front of the girl. Water erupted up from the ground and around the sides of the cavern. The elf tried to stop the girl from drowning. The object in the background shined with greater intensity. The Witch raised her hands and shouted something. Ramla saw a hazy cloud of white appear in the cavern. There was a great flash of light blue light, and the girl stumbled to the ground. The elf screamed at the Witch, and the Witch laughed loudly. The sound erupted through the cavern, and more rocks fell. The elf tried to shield the girl from some of the particularly large boulders. The Witch walked towards them and grinned evilly, flashing her upper teeth. She murmured something to the elf and the girl, and the two turned away, bracing themselves for death. Ramla’s vision disappeared. It was black again. Ramla screamed aloud, trying to get the dream to return. No matter how hard she tried, it wouldn’t come. She didn’t know if the girl was safe. Ramla felt as though liquid was pouring into her lungs. She was drowning. Ramla gasped for air and clutched her chest. Her eyes opened again, and she realized that she was still in her longhouse. She hadn’t gone anywhere, even though it felt so real. Ramla stared at the board in front of her. She wanted desperately to record what had happened. Before she could do anything, words started to appear of their own accord. As the words appeared, her surroundings vanished. All she could see was the board and the writings forming on it. She somehow knew that she had to record the words in front of her. She didn’t know what they meant, but instinctively she knew they had something to do with the vision she just had. Ramla dipped a brush in white paint, and started tracing the words on the board. After writing, Ramla could now see around her. She heard chattering outside her longhouse, and saw freshly painted words on the board. Ramla knew that she had painted those words, but she couldn’t remember when she did it. In fact, she couldn’t recall anything about what happened in the last hour. She only remembered getting back home. Ramla looked carefully at the words and discovered they were written in the Alvarian language. The words formed a prophecy about a Witch that was going to try and take over Evindoore. After reading these words, Ramla felt a memory stirring about a vision taking place in a cave. She struggled to recollect what the dream was about, feeling as though she were digging in her mind for a rare treasure. Ramla read the prophecy further, and discovered that it had something to do with the girl, the elf, and the Witch in the cave. Suddenly, she made the connection. The girl was fighting with the Witch, and the prophecy was talking about her. Somehow, this girl and her Elven defender were going to go on a great mission to stop the Witch. Ramla didn’t know the exact information surrounding this future event, but her heart was still pounding, and she still felt herself looking at the doors and windows. She had to protect the board. Something was going to happen in the future, and she couldn’t let this board fall into the wrong hands. She had to ensure that the prophecy would stay intact, and that the board could not be destroyed. 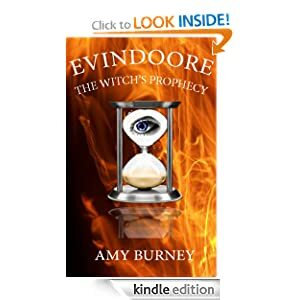 The prophecy would warn people of the upcoming dangers facing Evindoore. Ramla put down the paintbrush and started murmuring words over board. She formed a border around the words, and sealed them with the Alvarian language. Ramla looked around to ensure that nobody was watching her. If her enemies learned of what just happened, they would do anything in their power to steal the board. Once she was finished, Ramla decided that she would take the board to the Knights. They would know what to do with it. She gripped the board in her hand and held it against her body. With determination, Ramla turned to the door and exited the longhouse, starting the journey to Avolene, the capital city of Durvana. Lady Adell, a witch from Crested Lake, saw a blue streak of magic flying towards her as she rode through the dark pine tree forest on Keiron, the unicorn. She was heading towards the Witches Village. She ducked her head and clutched the basket she was holding tighter. The magic singed the hairs on the top of her head. She saw Keiron, whinny, and dip his head up and down. The tree branches slapped Lady Adell’s body and Keiron’s red circular horn. Lady Adell looked above her, and her heart stopped. The other witch, Nakendra, had caught up with her. Flying in the air above Lady Adell was a dark red dragon. He had horns coming out all sides of his head, and spikes running up and down his back. He was fuming in anger, and belching out huge torrents of fire, scorching the trees and causing forest animals to run in terror from the dragon’s fire. Nakendra was sitting on top of the dragon. Nakendra screamed to the dragon, “Get her, Basdev!” With an evil grin, Basdev gleefully obliged. He started to dip down between the treetops to get closer to Lady Adell. Lady Adell saw how close they were getting. “Faster, Keiron, faster!” The unicorn tried to speed up, but he found that he was already breathing heavily. His heart raced with exertion, and his legs were weak from exhaustion. His white coat was soaked with sweat. Lady Adell thought she saw one of the tree branches moving, flying through the air to knock the basket out of her hands. Lady Adell murmured something in the Alvarian language, and the tree branch slammed to the ground. However, more branches moved by themselves. Nakendra was making the forest come alive. She was using the tree branches to get the basket. “Oh my…” said Lady Adell. She wondered how her sister was doing it. Lady Adell had tried to make objects move from far away before, but she never succeeded, despite all her years of practice. What had happened to her sister? The last she knew, Nakendra had never been able to do something like this. It was beyond her range of magical abilities. The branches moved up around Keiron and Lady Adell. She heard Nakendra scream in delight. Lady Adell couldn’t stop all of them. She hugged the basket to her body, trying desperately to keep the contents within it safe. If she lost the basket, she didn’t know what would happen. For the first time in her life, Lady Adell feared her own sister. It was almost over. Keiron couldn’t go fast enough. The branches swung up menacingly, and one of them almost knocked the basket out of her hands. She tried to swat at them, but they just hit harder. She saw that one of them had ends like a hand, and that it was shielded by other branches. They were all coming in at the same time. The hand branch inched forward through the air, moving closer and closer. She hit the branches, and found that they smacked her back. The hand branch curled itself around the basket’s handle as if it had fingers. The other branches started attacking her, distracting her. Just before the branch pulled the basket out of her hands, Lady Adell heard a large slamming noise above her. Instantly, the branches fell away back into the forest. She saw that none of them were attacking again. Lady Adell wrapped one arm around the basket and grabbed the handle with the other. Then she looked up and saw a dark grey dragon with spikes on its tail and horns going up its body flying through the air. It was aiming right for the dark red dragon. It blew a huge flume of fire at Nakendra, and Basdev dipped down. The tops of the trees ripped against Basdev’s body, causing him to howl in pain. It was Razul! He had come to help her! Razul didn’t listen to her. He opened his mouth again to let more fire stream out, but Basdev had other plans. He spiraled down, and his horns were pointed straight at Razul. Basdev was going to spear Razul in the head. Razul beat his wings, and flew up into the air in a corkscrew. His entire body twisted in midair, and his head swirled as he became dizzy. Razul straightened himself out, but not before Basdev hit him in the foot with his horn. Razul wailed, feeling his foot burn red hot. His blood swelled up from the wound and splattered the treetops below. “Razul!” Lady Adell screamed in terror. She had ridden further into the forest, but she could still see the dragons fighting. “Don’t worry about me! I’ll be fine!” Razul saw another stream of fire coming at him, and flew down to avoid it. Nakendra beamed with satisfaction. “I thought not.” She lifted her arm, and murmured a spell. Razul felt himself hit an invisible barrier. His body stopped in midair, and began to fall. He couldn’t beat his wings. It was as though he were paralyzed. Razul couldn’t defend himself, even when he saw Basdev fly in and hit him against his side. This time, Razul wasn’t stabbed. The momentum of Basdev’s body merely caused him to fall more quickly to the ground. While Razul was still in the air above the trees, he blurredly gazed at the ground to find Lady Adell. She was nowhere to be found. Keiron had moved fast, and Lady Adell was long gone. Razul fell between the trees of the dark pine tree forest. The tree branches ripped against his body, causing his scales to break and bleed. He heard birds squawk in protest as he disturbed their home. Deer trampled along the ground to try and escape his large body. He landed in the middle of a small river on a pile of sharp rocks, which dug into his body, causing him to bleed even more. Despite his situation, Razul smiled to himself. He had accomplished his mission. Lady Adell was safe, at least for now. Nakendra hadn’t killed her. Razul closed his eyes, giving into the sleep his body so demanded after the fight. He started to rumble, drifting off into a heavy sleep. Skylar nocked the arrow into his bow and stretched the end of the bow out as hard as he could. He was a Guardian Elf from Durvana. Skylar wore a blue and green outfit, yellow bracelets, and had long, silvery, braided hair with pointy ears. Holding his breath, he aimed carefully at the target thirty yards down the wildflower field. He steadily held that position for a few seconds, then released the arrow. The arrow zinged through the air, soaring through Skylar’s view of the snowcapped mountains, the snowy forest of Durvana, and the blue skies that formed the ceiling of the world. He braced himself for the target hit, and smiled when the arrow hit the target right in the black center. He murmured, “Furðor,” imagining the target thirty more yards down. The target vanished out of thin air, and reappeared after a few seconds. The arrow disappeared until Skylar felt it return to his quiver. These were magical arrows created by Dagor, the noted blacksmith of the elves in Durvana. Skylar carefully watched the target, judging how to shoot the arrow into the center of it. He had never successfully aimed an arrow at a target that far away. Despite all his years in hard battle as a Warrior Elf, his training in archery didn’t include this long of a target range. Once he grew into the elite circle of the Guardian Elf, archery was no longer the focus of elven education. Guardian Elves instead learned how to shield important people in danger. Because of this, few Guardian Elves could shoot so far away. It would be remarkable if Skylar were successful at this range. He grabbed another arrow out of the quiver on his back, and carefully fitted the arrow into the bow. Skylar aimed again at the target, accounting for wind speed and other natural forces. He pursed his lips, and took several deep breaths. Skylar exhaled his last breath, then released the arrow. The arrow shot into the air, releasing a faint light blue glow. After a few moments, it landed again in the center of the target. Skylar felt like cheering, but he contained his emotions. It wouldn’t be proper for a three hundred year old elf to cheer. Still, he allowed himself a small grin. After two hundred years, his training was complete. Skylar now felt as though he could protect any royal or noble that became his charge. Skylar murmured “Disaperen” and the target disappeared while the arrow returned to his quiver. Something caught his eye in the background. It was smoke curling up from Dagor’s blacksmith workshop. The sight reminded Skylar of his own early experiences while choosing a profession. He looked down at his body and saw one of the burns he received while training to be a blacksmith. He was tending to a hot pot with molten metal over a fire, and some of the hot liquid fell onto his skin. Skylar had to be treated by a healer, and he chose not to continue that route. He had no interest in working with fires. Skylar also found that he wasn’t very good at recounting tales of old from history. The stories fascinated him, but his acting skills were minimal. He knew that he could never be a great storyteller like Galendra. Skylar turned around and started walking up the wildflower field, hearing the crunch of the wildflowers. He looked down and saw a small lavender bloom. Smiling to himself, he picked up the wildflower and brought it up to his nose, hearing it snap. Lavender flowers were calming, and they helped promote sleep. He recalled that from his brief education as a medicine man. He fainted during his first surgery, and withdrew from the program shortly afterwards. Later, he turned to warrior training, and found that he excelled at it. Skylar inhaled deeply. The fragrance made him relive a memory of a time when it was winter in Durvana two hundred years ago. He was standing in a cottage with a vase of lavender blossoms on a table. There was a crackling fireplace, and plain furniture. He took a few steps over to a window, and saw a glistening snowy landscape with a frozen lake. The door swung open in the memory, and Mirana walked in wearing a shimmery green skirt, white top, and bracelets. She had a white belt and yellow streaks running through her brown hair. Mirana smiled at Skylar, looking at him tenderly. “Skylar! Skylar!” a voice cried. The scream brought him back to the present. His memory was shattered. A quick look revealed that he was still in the field, holding a lavender flower. With a sigh, he realized the memory of Mirana was just a dream. Skylar turned to see Galendra, the storyteller, running up as fast as she could, wearing a brown dress. Skylar saw her wrinkle marks, showing the signs of aging. Her eyes were huge with panic. The message concerned Skylar because of some rumors that were circulating in Evindoore. Apparently, there was a Witch destroying the land. Some of the stories claimed that Nakendra had gone bad, and people were now starting to call her the Blue Witch because of her dramatic change in eye color from hazel to blue eyes. Did these rumors about the Blue Witch affect Lady Adell at all? Skylar knew he had to meet her. She could be in serious trouble. “I will go right now,” he answered earnestly before running up the field. At the top of the small hill, he saw his small cottage, and the griffin pawing at the ground. Skylar couldn’t help but smile as he saw that Gruffond was swishing his tail back and forth impatiently. He knew that Gruffond risked being criticized or banished by the few remaining griffins, due to his helping of the elves and witches, but his service was invaluable. Even though other griffins saw the role of transportation as demeaning, Gruffond enjoyed the companionship. He sought to be neutral with others, and offered to help when needed. Skylar climbed on top of Gruffond’s back, feeling the softness of Gruffond’s golden feathers. They shined in the sun. Gruffond bent his back legs and jumped into the air like a spring. He beat his wings up and down, allowing them to catch the air. Skylar felt himself rising through the air over Durvana. Before long, Skylar saw the vast expanse of land that comprised Evindoore. Below him was Durvana, his homeland, along with huge fields of green and Crested Lake. Skylar breathed in the cold air deeply, but then became extremely cold and bent down to curl his arms and face into Gruffond’s fur. Skylar tuned Gruffond out and watched the ground as scenes rushed passed them. He could see a dwarf diving into the ground, and a centaur galloping up the side of a rocky hill. A griffin took off into the air, and some fairies flew next to each other. He could see Mermaid Lake, although the mermaids were too small for him to spot. Meanwhile, the Witches Village at Crested Lake grew closer. Skylar wondered if that was where Gruffond was taking him. That would fit in with the rumors of this evil Blue Witch because the witches lived there. Was Nakendra going bad, and did this affect Lady Adell at all? Sure enough, Skylar could see the town getting clearer. He breathed a sigh of relief, realizing that he would know what was happening soon. As Gruffond flew lower and lower, he began to slow down. Still, he warned Skylar to hold on tight. “My landings don’t tend to be the best thing about my flying.” Sure enough, it was a rough touchdown. When Gruffond landed, he bounced up again, and had to dig his feet in the ground to land. Skylar felt his hands clench into a fist in Gruffond’s fur. Skylar jumped off Gruffond and started walking between the rows of grey longhouses and toolsheds that made up the Witches Village. He looked around the landscape of the Village and saw brown, muddy water lapping against the shores of Crested Lake. Just the sight of the lake made Skylar shiver because of the number of diseases he thought someone could catch swimming in it. There was virtually no activity in the Village. He gazed over at the pine trees surrounding the lake and village, and compared the trees here to the ones in Durvana. These trees seemed to be the only life at the Witches Village, especially right now. Skylar wondered how long he was going to have to wait for Lady Adell. The overall atmosphere here was somewhat depressing, not like the open, calm, and peaceful atmosphere of Skylar’s homeland. He didn’t want to be here very long. Still, all he heard was Gruffond pawing at the ground, swishing his tail, and huffing. Suddenly, a sound in the village grabbed his attention. Someone was running quickly through the rows of longhouses. Skylar looked around, trying to find the source of the noise. Lady Adell appeared, sprinting through the Village wearing a long blue sapphire dress and carrying a basket in her arms. She didn’t seem to realize that Skylar was waiting for her. He had to grab her shoulders to stop her. Lady Adell stopped and shook her head, coming back to reality. She quickly looked around as if searching for something. When she found nothing, she motioned at Skylar to come closer. She whispered, “Skylar, I have a very important task for you. Do you see this basket I am holding?” She gripped the picnic basket’s white handle as if letting go meant that the world would end. Skylar took the basket with a questioning look but demanded answers. “What is going on? Does this have anything to do with the Blue Witch? If it does, let me help you.” Skylar noticed that Lady Adell flinched when he mentioned the Blue Witch. Skylar frowned, but nodded in acceptance. He turned away to start walking towards Gruffond. Before he reached the griffin, however, he took one final look over at Lady Adell and saw her running back through the line of houses. He hoped that he would see her again. Skylar jogged with the basket in his hand and approached Gruffond with great misgivings. His instincts told him that something was terribly wrong. However, a promise was a promise. Skylar had to take the basket to the Keeper. Part of him wanted to peer into the basket to see what it was, but he also knew that Lady Adell didn’t want him to look inside it, so he accepted her judgment. Before Gruffond took off, Skylar looked once more at the Witches Village, and heard a low growl. Considering the interaction he just had with Lady Adell, this made his stomach twist in knots with fear. Skylar wondered if he was making the right choice to leave her, but he decided not to turn back. Lady Adell knew what she was doing. If this situation were too big for her to handle, she would have asked for his help instead of telling him to take a basket to the Keeper. He was sure of it. Skylar and Gruffond rose into the sky. It was harder for Skylar to grip Gruffond’s body this time because he was trying to hold onto Lady Adell’s basket. He had difficulty maintaining a comfortable position on the griffin’s back. Gruffond turned his head to see the crow. “What the-.” He tried to swerve to avoid the crow, but the bird hit the left side of Gruffond’s head with talons flashing. Gruffond lost his sense of control. He almost flipped before he could steady himself. Skylar barely managed to maintain his hold on Gruffond, but to his horror, realized that he dropped the basket in the attack. At Skylar’s mention, Gruffond peeked to see the basket falling to the ground, and made a quick nosedive. Skylar felt his stomach heave as they rushed down through the air. The world was turned upside down. They twirled in the sky as Gruffond swerved to avoid the giant crow. The basket landed in Skylar’s lap, and he held onto it tightly as if letting go would mean his own demise. The crow changed his flight course to fly directly into the middle of the griffin’s face. Gruffond was able to level out by stretching his wings out, but the crow was diving. His talons were outstretched towards Gruffond’s eyes. If the crow struck, Gruffond would lose his sight, and the two would go tumbling to the ground. Skylar had to do something, but he was holding the basket. Skylar quickly examined Gruffond’s body looking for anything that would help attack the crow. The sight of Gruffond’s large neck and upper back gave Skylar an idea. Perhaps if he somehow tied the basket to Gruffond’s neck temporarily, he could do something about that crow. Skylar thought of a small rope around Gruffond’s neck. He said, “Tiegan,” and a rope appeared around the neck. Skylar intertwined the ends of the rope around the basket, and tied them together to ensure that the basket was secure. The basket would not hold for long on Gruffond’s neck, but it would give Skylar just enough time to deal with the crow. Skylar pulled the bow off his back with one arm and grabbed an arrow with the other. With great speed, he placed the arrow into the bow, took aim, and murmured, “Dagor, let your arrows fly true.” He fired the arrow at the crow, which struck the crow in the breast, causing it flash a brilliant blue. The crow cried out, and tumbled to the ground. “Yes, well, at least the dangers over,” Skylar replied. He pulled his right arm through the bow so it was resting against his back again, and the arrow returned to the quiver. Skylar put his hands around the basket and said “Remarvre” to detach the ropes from Gruffond’s neck. The ropes disappeared, and Skylar gripped the handles again. Gruffond and Skylar continued on their journey to the Keeper’s House without any further interruptions, and Skylar was able to get more comfortable on Gruffond’s back. If he wasn’t so worried about Lady Adell, he might have enjoyed the journey. It was quite pleasant to look out over Evindoore and view the landscape of this vast land. This feeling, however, was short lived, as Gruffond and Skylar saw the gloomy, grey Keeper’s House in the distance. The House was really a big mansion with two levels, an attic with a domed roof, and many irregularly shaped windows. A dark pine tree forest thrived before the house. As they flew closer, they saw that the house grounds contained a garden and tool shed. Skylar clenched the basket closer and felt his stomach twist again in anxiety. He recalled the look of urgency in Lady Adell’s face, and the increasing rumors. It was obvious that something was happening. He wondered if his life would ever be the same again. As Gruffond flew down to the house, Skylar realized that he had to do something about the griffin’s landing so that he didn’t lose the basket. He tried to smooth it out by saying a brief spell. Gruffond slowed down as he approached the ground. However, he still bounced up, causing Skylar to almost lose the basket again. “Sorry about that…” Gruffond said quietly. Skylar made no comment as he climbed down from Gruffond’s back. His spell hadn’t helped much. He heard the door creak open and looked up at the house. He heard footsteps, and a white haired man wearing a gray cloak and holding a gray staff walked out. The man’s eyes were wide with astonishment. The Keeper examined Skylar intently, and perked his head over to the woods as if hearing something. Skylar followed his gaze, but saw nothing. He could feel his heart beating in his chest, waiting for the moment when something would emerge from the woods. The Keeper looked back at Skylar. The Keeper turned around, taking the basket with him and making Skylar wonder what the old man was going to do. After all, he didn’t even know the Keeper’s name. The Keeper went back into the house, leaving Skylar alone. Skylar stood motionless for a second, waiting for the Keeper to come back. When he didn’t, Skylar decided to return to Crested Lake so he could help Lady Adell. As he walked back to Gruffond, he heard a noise like sticks breaking in the forest. He tried to look into the trees, but saw nothing. This was it. He could feel it. He knew that whatever came out of the woods would be unwanted and potentially dangerous. He almost didn’t want it to happen, but he knew he couldn’t prolong the inevitable. Skylar stood his ground…waiting for the moment when his world would crash. A man strolled out of the forest, making what seemed to Skylar like a dramatic entrance. He looked very rugged, with muscles rippling, long brown hair that hadn’t been brushed in a long time, and a straggly beard. Skylar breathed a small sigh of relief. He knew that the man was named Tobias, and that he was married to Nakendra. Maybe Tobias knew what was going on. However, this feeling quickly passed when Skylar noticed the murderous look on Tobias’s face. He was ready to kill Skylar. It seemed ironic that he didn’t have a weapon in his hand. Skylar found his heart pounding in fear for his life. Skylar was lost for words. He was expecting Tobias to say something about Lady Adell and the basket. Skylar uttered the only words he could think of: “I have no idea what you are talking about. I haven’t seen Nakendra in ages.” This was true. Skylar hadn’t seen Nakendra in a few years since they were working together for a short time at Crested Lake. Skylar found that he couldn’t move. He couldn’t help watching as Tobias reached into his back pocket and took out his speckled brown wand. Every instinct told him to run away, but he was rooted on the spot. Tobias closed his eyes and murmured softly to himself. Skylar strained to hear Tobias’ words, and saw a flash of light blue. Suddenly, Skylar felt himself shrink until he was smaller than the tiniest bug. The world slipped away as everything went black. 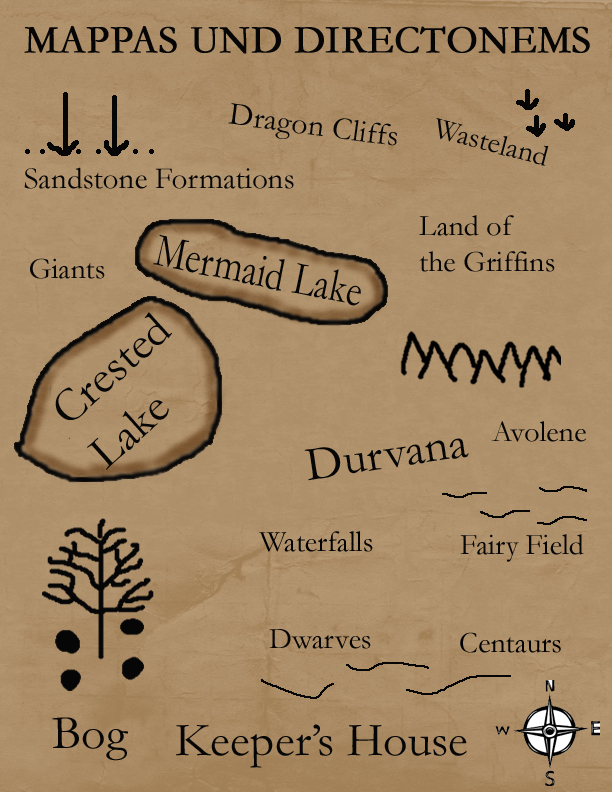 This map will be used to guide readers through Evindoore as they read about Elle’s adventures. You will find this in front of the book, The Witch’s Prophecy, available in the next few days. Do you have any suggestions for how to improve this site, or any feedback? Let me know at aburney146@gmail.com. I would be happy to hear your thoughts! I'm a young adult fantasy writer. I have many upcoming ideas, including the new Evindoore series. My hope is to break into the publishing world and become a novelist. Under a banana tree, you'll find me, blogging for Jill's Cabana Stories and Travels. In Travel Stories I will give highlights of my trips and travel reviews. In Interesting Reads there are book reviews and other stories, sometime dueling with my daughter as the Twins. Finally from my neck of the woods will be articles in My Little Cabana. © Amy Burney and Amy's Fantastical Writings, 2013. Unauthorized use, and/or duplication of this material, for monetary gain or otherwise, including book blogs, writings, and original thoughts, without express and written permission from this blog’s author and/or owner is strictly prohibited. Any modifications to this work is prohibited, for monetary gain or otherwise. Excerpts and links may be used, provided that full and clear credit is given to Amy Burney and Amy's Fantastical Writings with appropriate and specific direction to the original content. Amy's Fantastical Stories by Amy Burney is licensed under a Creative Commons Attribution-NonCommercial-NoDerivs 3.0 Unported License. Ramblings through literature, cinema, and the city.